We are manufacturing of Weighmatric Filling Machine for silica sand and granule and powder material pack as per customer requirements. 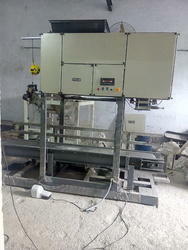 We looking buyer of Weighmatric Filling Machine from all over India. 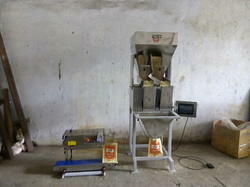 Dry Fruits Packaging Machine we offer for 1 kg to 5kg bag weighing & packaging machine. 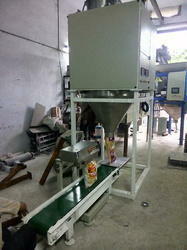 Machine pack for single weigh hopper is 120 bag /hour and double weigh hopper is 250 bag/hour. Sigma Automation with a proven track record can meet all your packing line automation needs with complementary supply / feed hoppers, discharge hoppers, bag holders for open-mouth and valve bags, convey sealing and stitching systems; check- weigher and go-no go attachments and also customized special purpose attachments and auxiliary attachments like de-dusting, dust-extraction complete solution with our own workshop and skilled staff. 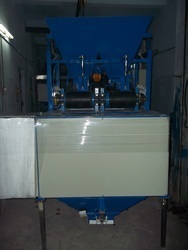 We also offering Silica Sand and Natural Silica Sand Packing Machine which are highly applicable in various industries. We are one of the known mfg suppliers of packing machine (25-40-40 kg) various capacity in India. At our vendors end, our offered sand is processes by using best quality raw material and advanced techniques in order to deliver high quality product. We offer this sand in different packaging options and deliver within promised time-frame. Our Two / Four head linear type weighing filler with stand is a suitable machine to fill dry fruits, soya nuggets, snacks, frames, rice, grains, sugar, lentils, aii type seeds, vermicelli, spray dried detergent powder in pre-formed pouches & bags. Production speed: Approx. 6- 10 bags per minute. (Depends upon quantity & product to be packed). We are one of the best manufacturers & exporters of the quality based Semi Automatic Atta Packing Machines. These Atta Packing Machines are widely used in the industry for packing the flour in different manner. We offer the system with many features such as- it maintains speed accuracy & automatically weighs the flour according to the packing machine. Our product ensures to give high speed, reliability and high productivity to the customers.This Machine can pack 5 kgs, and 10kgs. 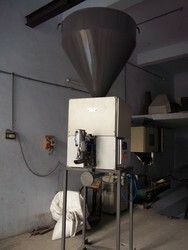 And other machine pack 20-30 kg flour. Note: Price will vary As per buyer requirement. Packaging Details: Wooden Box Extra. 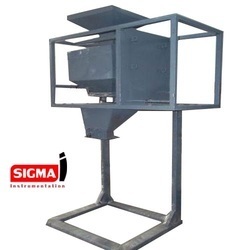 Owing to our immense expertise in this domain, we have been able to manufacture, supply a commendable range of Silica Sand Bag Filling Machine. 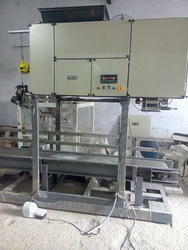 We are providing this product in order to meet the demands of various industries. Our professionals fabricated this machine with premier-grade raw material and other components incorporating latest technologies. 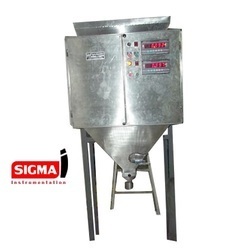 Our immense expertize in this domain enabled us to design the Quartz Silica Sand Bag Filling Machine as per the latest demands of our esteemed customers. Offered products are highly suitable for the industrial applications and demanded in the market on a large scale. We are supported by diligent professionals who enabled us to manufacture the offered product with premier-grade raw material. 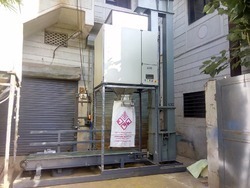 We are leading manufacturer of Carbon Black Powder Packaging Machine our machines are highly approciated with our existing client. 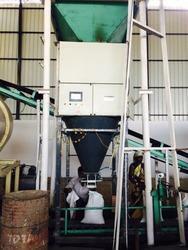 Carbon Black Powder Packaging Machine are used in Black Rubber industry and Chemical industry Etc. We are a leading manufacturer and supplier of Weighmetric Bag Filling Machine that is manufactured for weighing a wide range of material, bag types and bag sizes. Manufactured using the best quality raw material and advanced technology, this equipment is available in various specifications as per the requirements of our clients. The offered equipment is widely acknowledged by our clients for their qualities like optimum performance, superior efficiency, high durability and longer service life. We are manufacturing of bag filling machine with stitching and conveying system as per customer requirement.also this machine known as bagging system or bag packaging machine. We are leading manufacturer Chana Dal Packing Machine and we looking buyers of Chana Dal Packing Machine and weighmatric bag filling machine from all over India.